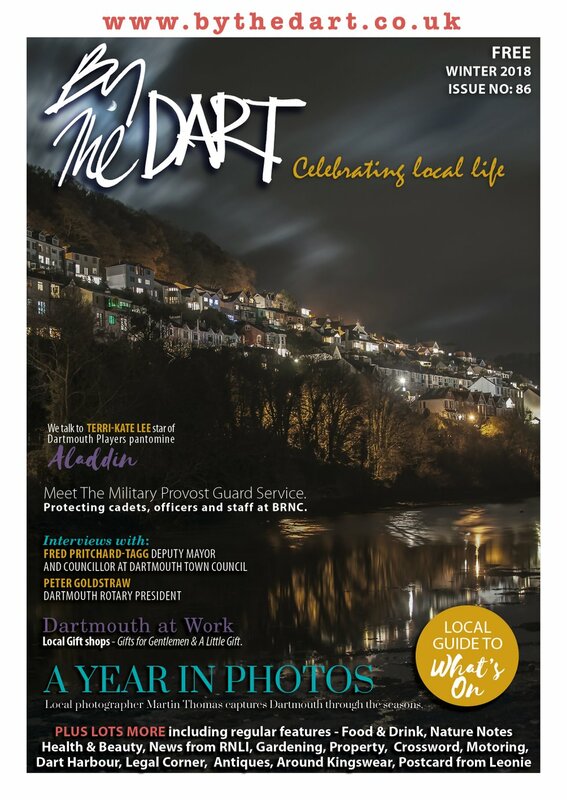 The July issue of By The Dart magazine is now published and is distributed to residents & visitors in Dartmouth from June 30th onwards. You can read online by clicking here. NEW - NOW AVAILABLE TO READ ON YOUR PHONE AND TABLET. 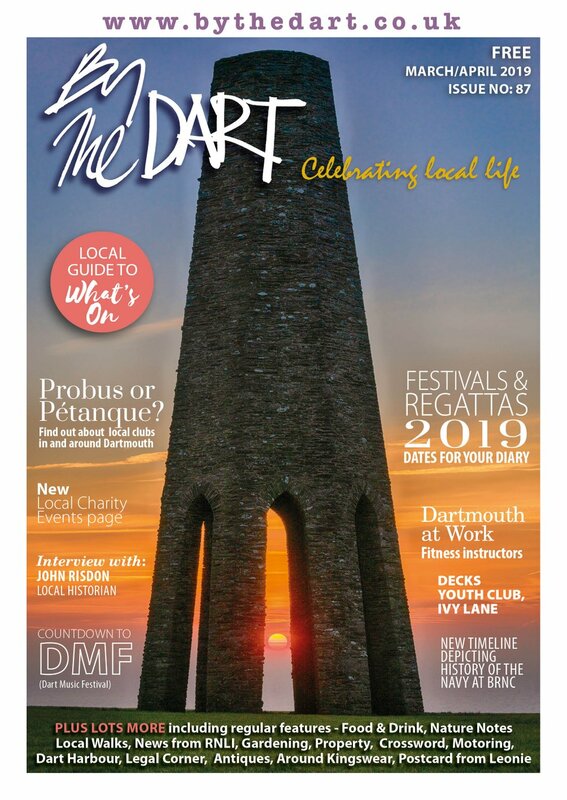 Things To Do This Summer (part 1) - ideas to plan your summer vacation - local gardens and attractions. 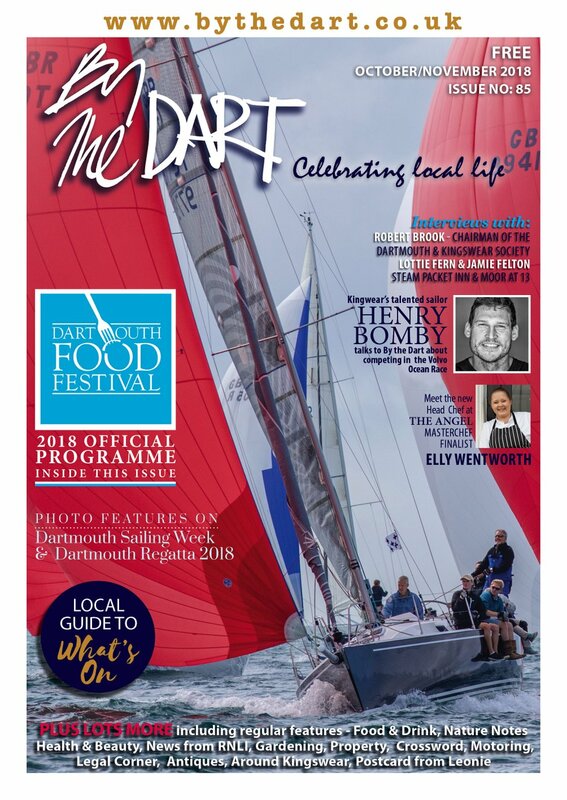 Summer Festival & Regattas - all the dates and brief description of the key events this summer. Exclusive - behind the scenes as BAR Land Rover's America's Cup campaign comes to an end. Dartmouth At Play - Helena Clews (Artist), Helen Deakin (Musician), Penny Rowley (Probus). Dittisham - My Favourite Places - photographer Nick Shepherd. Restaurant of The Month - 'Piestro' - Devon Wrapped in the Pie. Nature Notes - information and advice on where to go and what to look out for to get the best out of our wonderful local countryside.